Over the years, a lot of sci-fi movies have brought into the light several sci-fi gadgets that have actually become reality. The all-in-one virtual goggles by Blutsbreuder is one such concept. We would definitely be seeing more such technological triumphs in the coming years. These futuristic gadgets are a clear indication of the world we are about to step into in the coming years. You just have to take a back seat and enjoy, if the future is how we expect it to be, then a beautiful time is in store for us. Being a bit of a neat freak, these gorgeous new virtual goggles are really getting my heart going. Check this out. 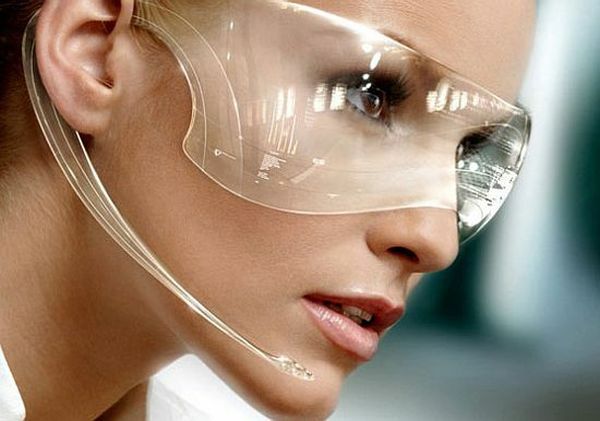 Apparently, this futuristic CGI concept cooked up by Franz Steiner sees the personal assistants of the future getting through a day’s work with nothing but a pair of goggles with integrated headphones. Created by the design house Blutsbrueder, the concept seeks to replace all of the office gadgetry, including desktops, headsets, pens and potentially even paper with the simple yet sleek pair of all-in-one virtual goggles, that will apparently even have a sound system with speakers and internet access as well. Reminds me a hell lot of the video-playing glasses and this thing is so damn good, it’s a great shame the thing is just part of a futuristic spread! If not for their watchable factor, science fiction movies always enthrall us with their futuristic gadgets and technology. If you look back to science fictions movies in those days, a lot of ideas and inventions actually exist today. This makes us wonder whether the inventions we see in many sci-fi movies today could become a reality tomorrow. Check out 10 such sci-fi gadgets that have already become a reality or are about to become in the next few years. 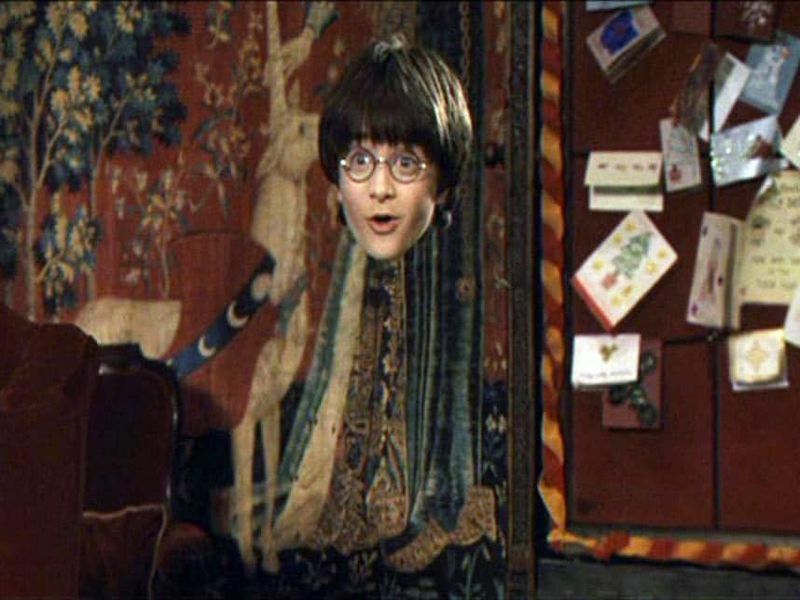 The Harry Potter movie franchise brought into the limelight the invisibility cloak, a piece of clothing that would make you disappear when you cover yourself with it. Scientists have been toying with the idea ever since and are on the verge of creating such a garment that can actually make you disappear by bending the light through lenses fitted on the clothing, literally making you invisible. The idea of flying cars became popular with the Jetsons. 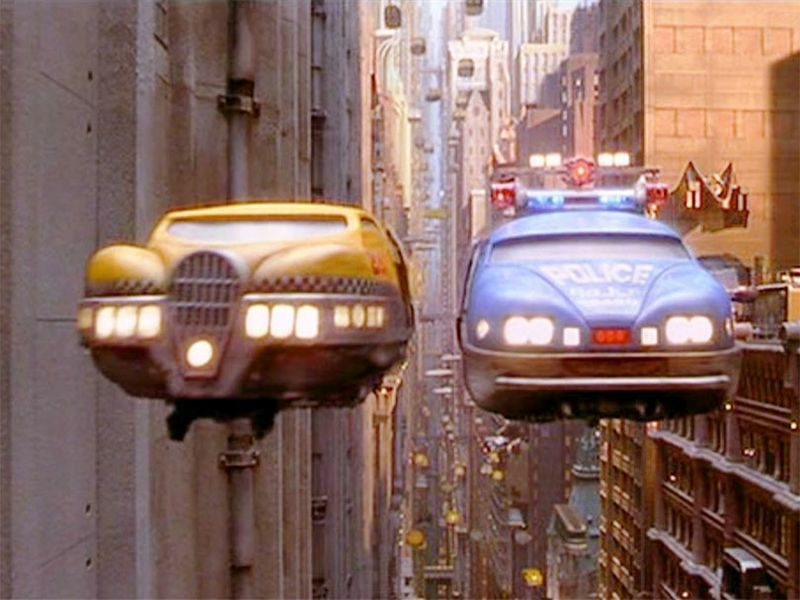 Movies like the Fifth Element also generated enough interest in the concept of a flying car for some companies to actually come out with a few inventions. So if we have Google coming out with the driverless cars, we have companies like Terrafugia launching the TF-X, a car andaircraft combined, that can fly on air as well as travel on road with ease. You will need one of these if you stay near a coast whose waters are infested with sharks. 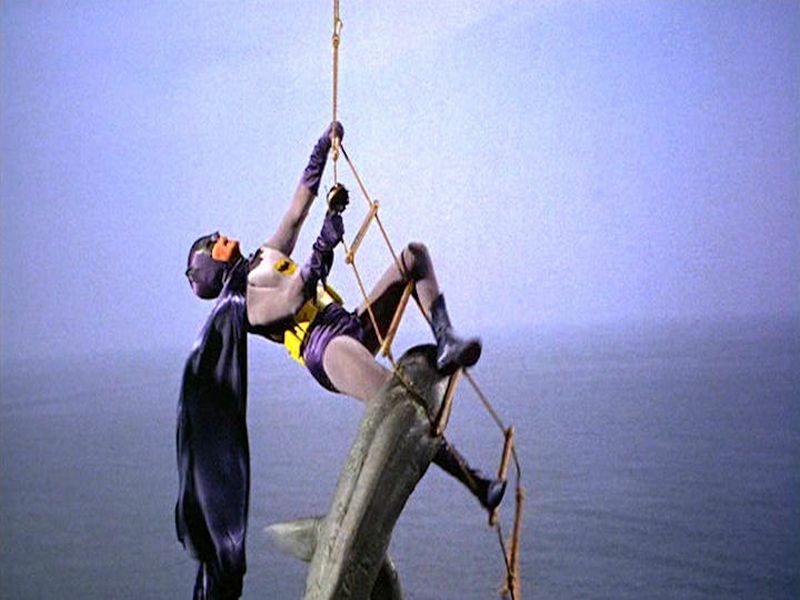 Remember how Batman used shark repellent to ward off his attacker in the 1966 movie? Scientists believe that a new product they created can make use of magnetism to confuse the shark’s sensors (or disturb them probably) and chase them off successfully. Thanks to the Simpsons show, everyone came to know about the ‘bark-to-speech’ helmet worn by Santa’s helper. Scientists have been working fervently ever since to help your best pal to speak. 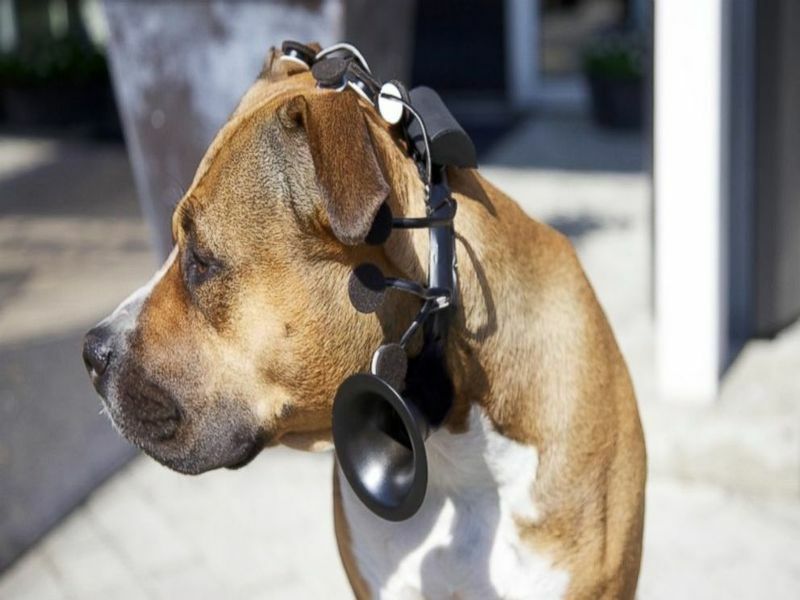 Advancement in this field has resulted in the ‘No More Woof’, a headgear for your dog which can tell you what your pooch is feeling at a particular moment. However, it’s creators are yet to form complete sentences with your dog’s thoughts. In 1869, a movie called 20000 Leagues Under the Sea portrayed what could become the world’s first ever submarine later on. 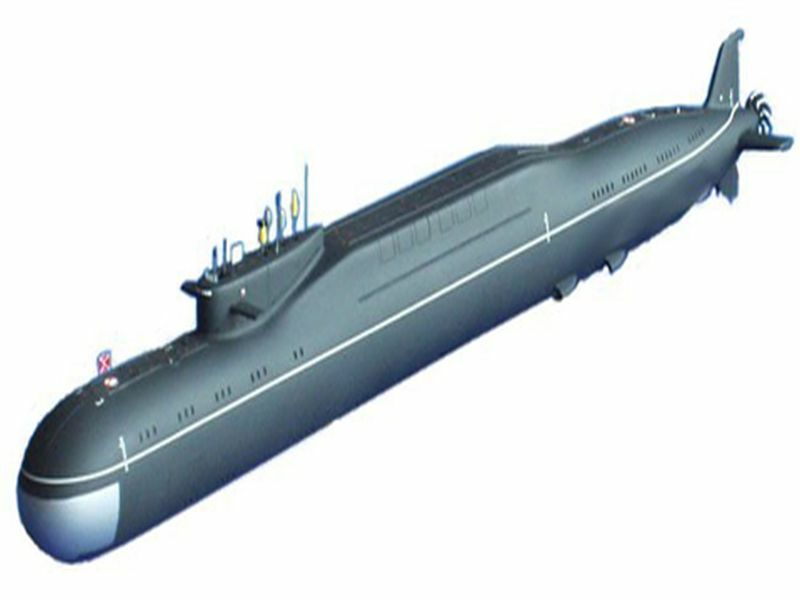 The writer’s prediction of devices that could travel underwater came true eons later with the modern day submarines we are so familiar with today. Find a mosquito following you incessantly? Beware, it may be a drone. 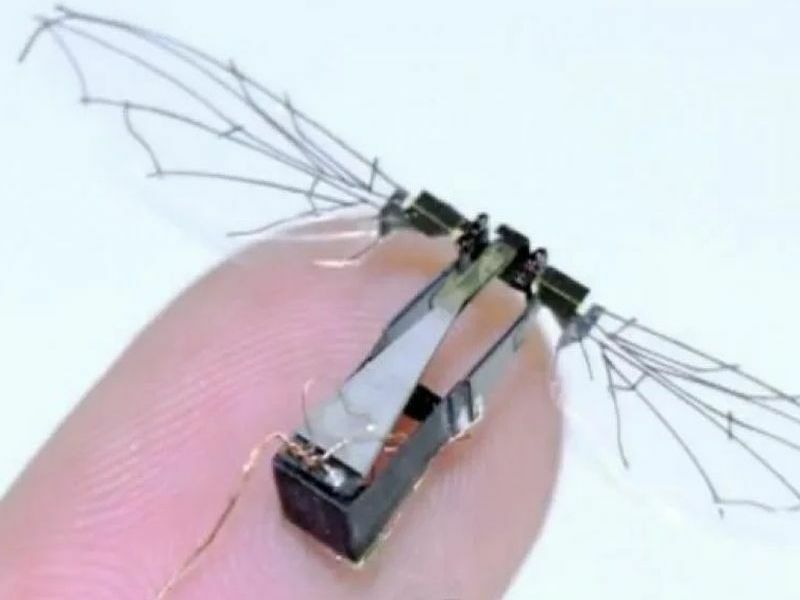 Scientists have developed a miniature sized flying robotic drone which looks like a mosquito from a distance. 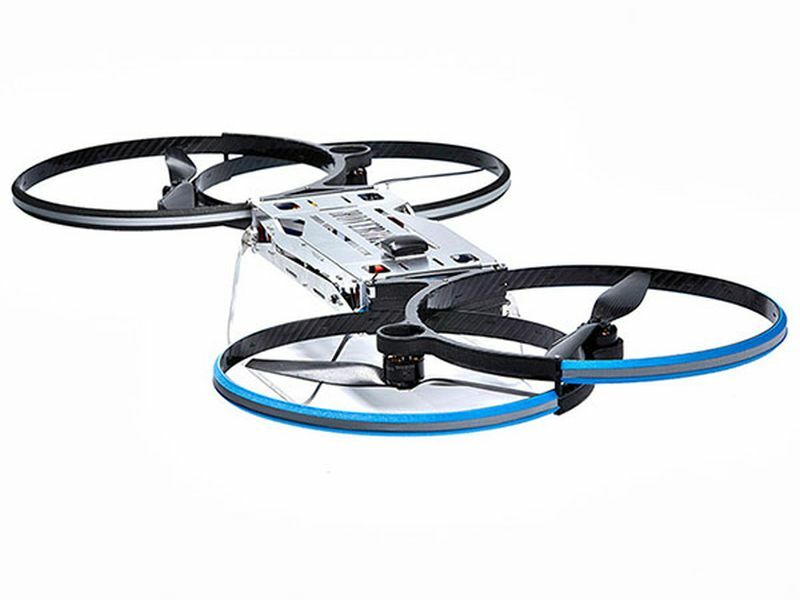 This drone can not only follow you around wherever you go, but can also snap pictures of you and even inject you with something deadly. Creepy but true! Holograms were made famous through several works of science fiction. While it was considered a farfetched idea back then, today we are so close to having actual holograms being projected in front of us. 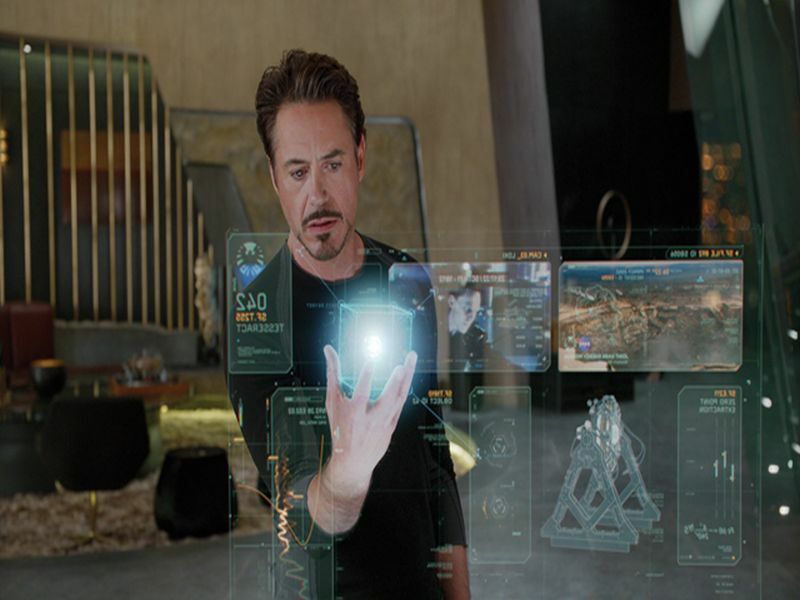 Better yet, we can speak and interact with these holograms as well. Remember those old Hollywood movies which showcased gadgets or machines called replicators that could make copies of physical objects. 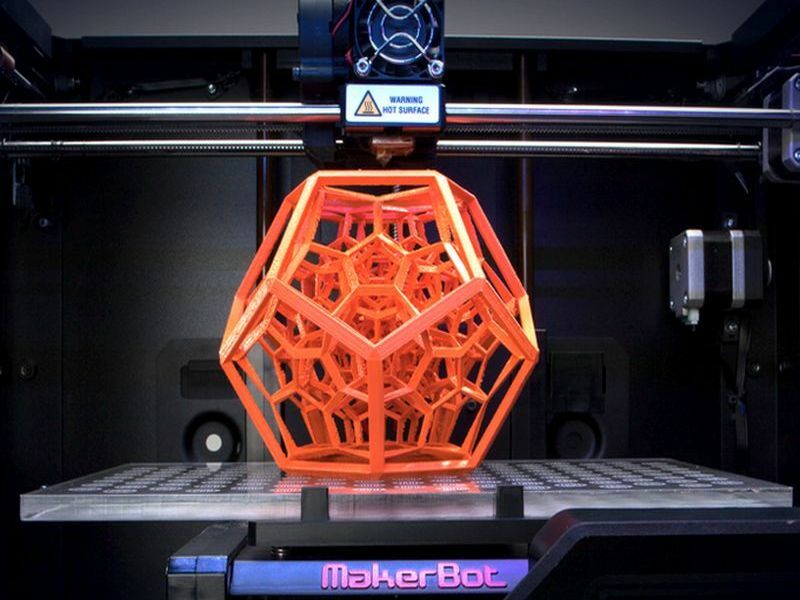 Fast forward many years and we now have a working replicator in our hands. And we like to call it the 3D printer. Scary but true! 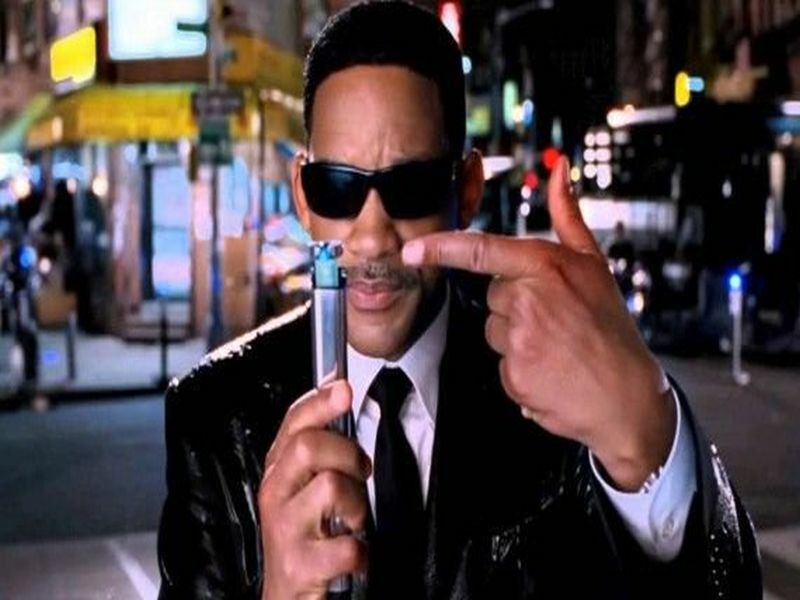 The memory erasers we have come to see in many movies, including the neuralyzer from the movie ‘Men In Black’ can very soon become a reality. Scientists in New York are running tests on a drug that has the ability to block an enzyme that aids the brain in memory retention. Remember those speed bikes that raced through air in Star Wars? Well you could find yourself racing a hoverbike pretty soon as well. Aerofex has revealed that it will launch its flagship hoverbike in 2017 for $85000. Got the money? Book one now! The vast emptiness of space has left many a common man wondering as to what exists outside the solar system. Interstellar travel aka travel between the stars (both manned and unmanned) can help us find that out. With interstellar space travel, one can hope to travel outside the solar system, visit other galaxies, discover new worlds just like our own, and colonize space. And all of this could be done in a matter of seconds. Would it be possible? 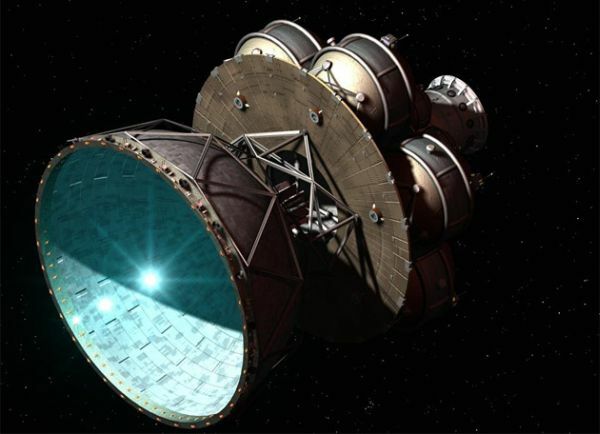 NASA believes it would be, and is on the verge of bringing to reality, two breakthroughs that can make interstellar space travel possible. Let’s hope we get to see them soon. Imagine boarding an elevator that would take you to a space station. Sounds exciting doesn’t it? 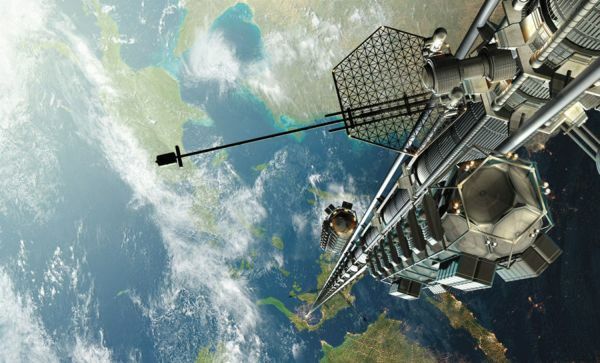 In addition to minimizing the need of rockets and space shuttles to achieve the same, the proposed space elevator structure would aid in the launch of new satellites and the construction of new space stations. Scientists are working out on different theories based on the subject and hope to come up with a structure that could transport material objects and humans to and from space sans any space shuttles. Can’t wait to see this one! Remember all those movies where alien space ships usually came with invisible, impenetrable force fields? Well, the same technology would probably find its way into our military bases soon. 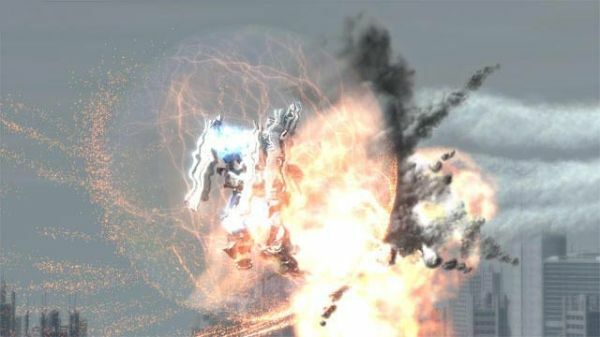 Scientists are toying with the idea of creating/projecting energy into a solid form which when activated above an object or area, would be able to absorb and dissipate the energy of the incoming object (missile or bomb), thereby deflecting its impact. The projection of energy as scientists say, would require tremendous research and tests. However, once that is accomplished, there is no stopping the birth of the energy force field. The vastness of the underwater world has prompted many researchers to work out ways to use it for technological advancements. One such proposal is the transatlantic tunnel, a massive tunnel that would be located in the depths of the Atlantic Ocean and would stretch all the way from Europe to North America. 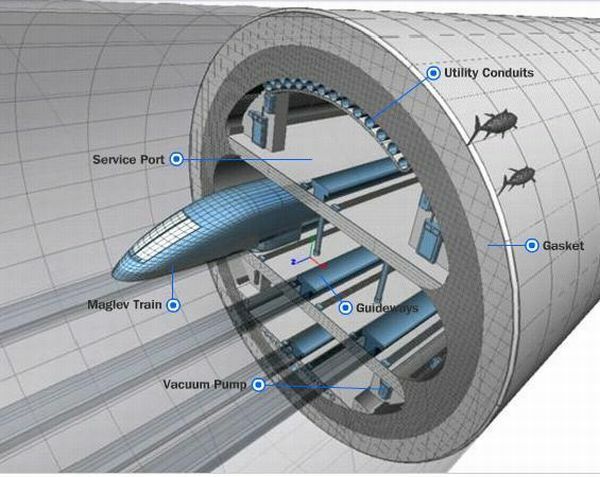 The tunnel would be used to carry trains that can travel up to speeds of 8000 kilometers per hour. If that goes into effect, then it would be possible to travel from Europe to American (and vice versa) in just about an hour. However, this particular invention would have to wait, thanks mainly to the several hindrances it faces in terms of resources (needed to build a tunnel that is 215 times longer than the longest tunnel on earth) and budget (almost $12 trillion). 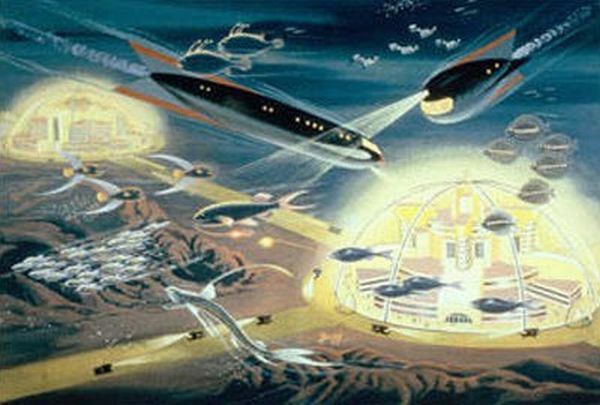 The concept of underwater cities and countries is something that we have heard of in novels, cartoons and films. But to actually think of living in an underwater, ocean city on a permanent basis would be something else indeed. In addition to expanding the livable area and resource access, ocean colonization can pave the way for space colonization as well. However, the manifold constraints that come with the project (like cost, transportation, sustainability etc.) can make it sit in the back burner for a few more years. These are some of the sci-fi inventions we believe should be invented very soon. It may take some time for them to come into effect after conquering various hiccups in the process. But when they do arrive, there is no doubt that mankind would have taken another giant leap in terms of technological advancement.